The Ministry of Defence of the Czech Republic signed a Memorandum of Cooperation with the state enterprise VOP CZ for the largest army contract in modern history with a total volume of more than 50 billion CZK (2.224 billion USD). The planned project to acquire 210 pieces of new armored armored vehicles is to replace the outdated vehicles of BVP-2 Soviet production and a competition will be held between four foreign manufacturers. 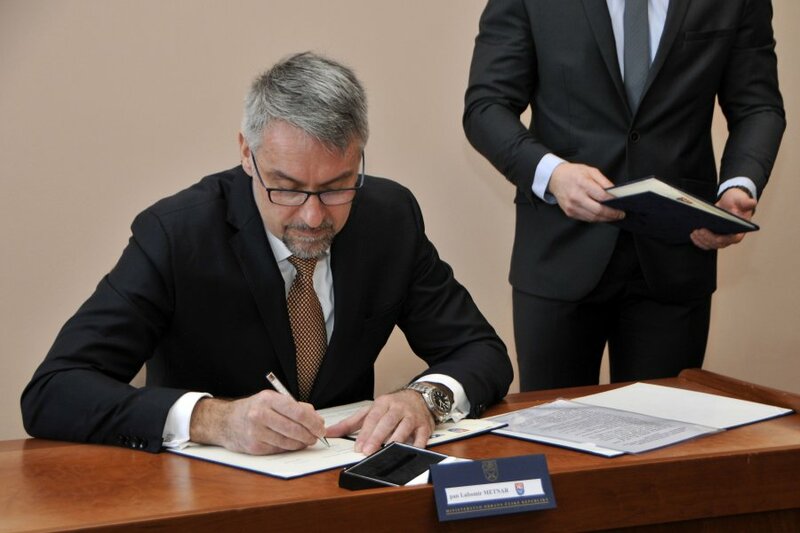 The signing of the Memorandum of Cooperation emphasizes and confirms the important role of VOP CZ for the Ministry of Defence of the Czech Republic within this project. "Today, we signed a Memorandum of Understanding with the Military Repair Firm on the project to acquire new belt conveyors. This is the largest modernization project in the history of the ACR. Our goal is to maximize the involvement of the domestic defense industry," Defence Minister Lubomir Metnar said after signing the memorandum. "State Enterprise VOP CZ is a key partner of the Ministry of Defense and the signing of the memorandum confirms the strategy of our company. This is the maximum support for the Czech army in the area of ground technology," commented the signature of the memorandum Marek Špok, Director of VOP CZ. The Ministry of Defence will address four armaments suppliers in the Infantry Armored Vehicle Production Project (BVP). BAE Systems with CV90, GDELS with ASCOD, Rheinmetall with LYNX and PSM with PUMA. More than 50 billion crowns of the project's financial volume include service and life cycle assurance. The armament companies will compete not only in price and better technology but also in how much production and service they will move to Czech companies. VOP CZ has already signed a cooperation agreement with all four of these bidders in case they get the contract. The Ministry of Defence has also confirmed the important role of VOP CZ in the BVP project. "It is an opportunity for the development of cooperation between Czech state-owned enterprises, which, like us, is subordinate to the Ministry of Defense of the Czech Republic. It is a unique chance for the entire Czech arms industry. We can all show how we can work together to cope with this challenging project. In addition, production and the supply of modern infantry armored vehicles, including their after-sales service, can bring jobs to the region for up to 30 years," adds Marek Špok.